It’s a bummer when you can’t bring your favorite plus or fat bike with you on vacation. EVOC set out to change that with the new Travel Bag XL. 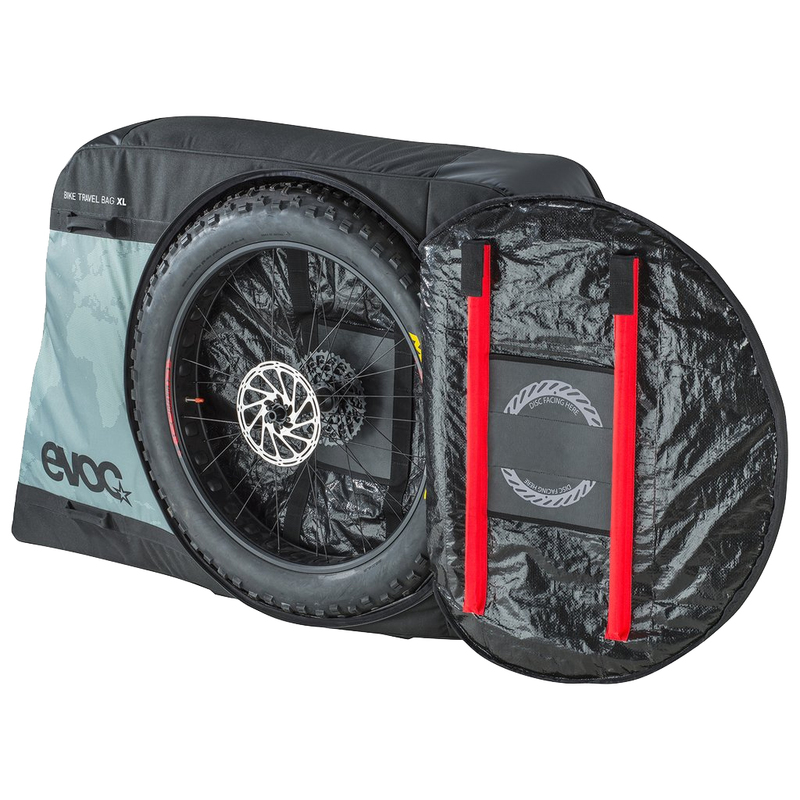 Designed specifically for plus and fat bikes, the XL bag features a huge internal volume to fit those extra wide tires and frames. Built with strategic padding and a 600D tarpaulin exterior, the bag is designed to hold up to the harsh demands of air travel. 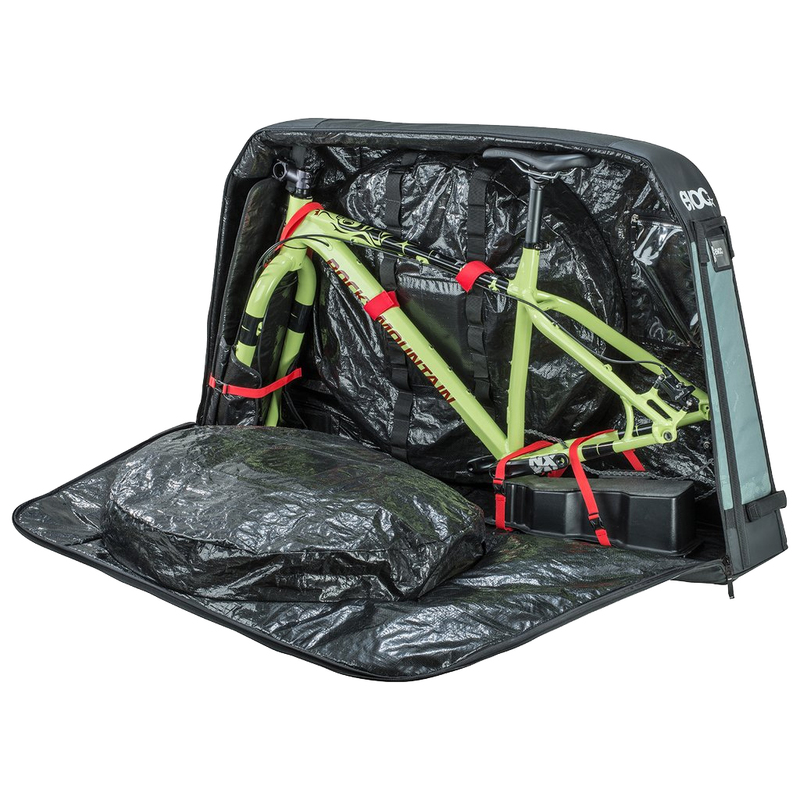 The interior of the bag features a padded zone for securing your handlebars and fork in place, and a raised block keeps your bottom bracket from dragging on the ground. The outside features two large padded compartments to store your extra-wide wheelset and exterior handles accompanied by rolling wheels make the bag easy to roll from terminal to terminal. 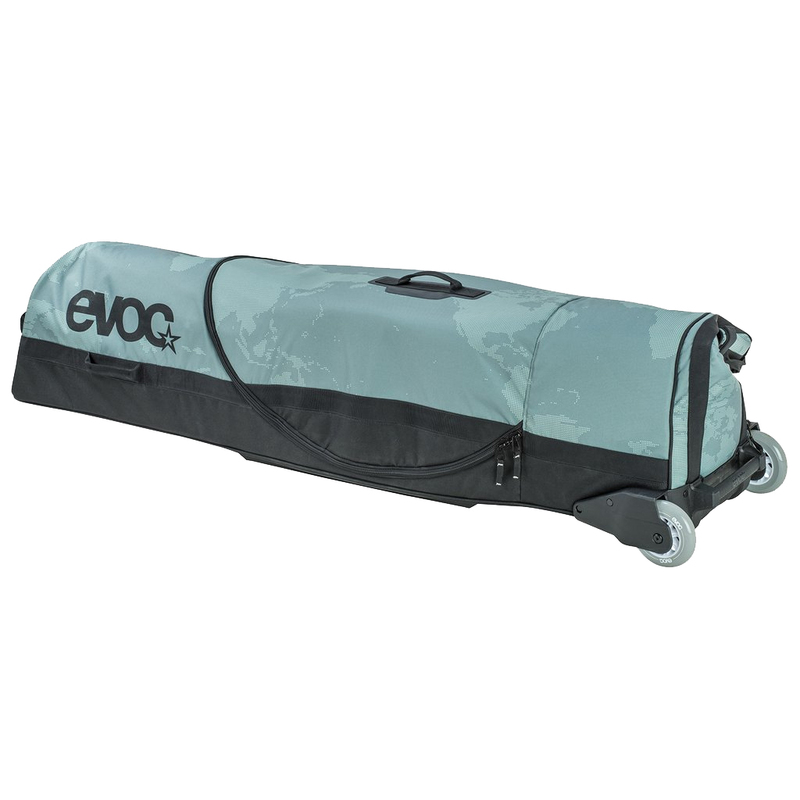 Save your bike from scratches and let it fly in style with the EVOC Travel Bag XL. Just remember, when the airport asks what’s in the bag, it’s not a bike, it's “sports equipment”. Is this the best option for an XL 29er DH bike?